Now that the difference between carpets and rugs is known, what’s a better way to learn more about one of the most intriguing parts of the flooring world than learning about what the stars walk on? Not the physical stars in outer space, but the Hollywood stars. Join a journey on uncovering the history of the red carpet. While celebrities and film stars have been arriving to events on the red carpet for ages now, this carpet hasn’t always had a positive connotation over the centuries. 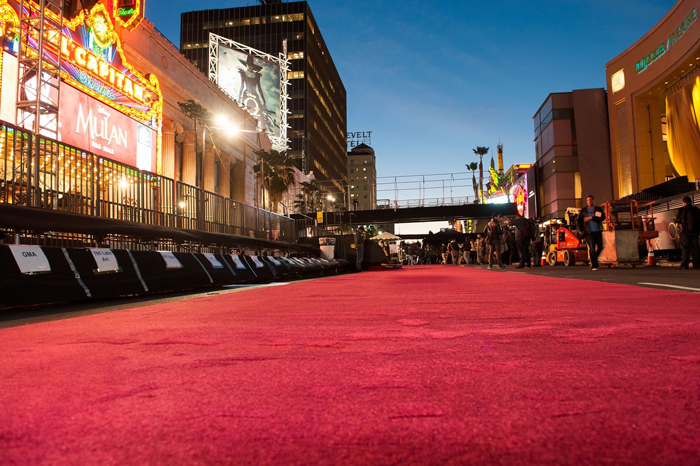 In fact, the earliest known reference to walking a red carpet dates back to 458 B.C. In Aeschylus’ play “Agamemnon,” the titular character is invited to walk a “crimson path” to his house by his wife. However, since Agamemnon wasn’t a god, he didn’t walk that “crimson path,” because it wasn’t meant for humans. But even after the mention of a crimson floor in “Agamemnon,” it would take several centuries more until the red carpet was rolled out at events to treat people like royalty. Royalty may have been enjoying the benefits of red carpets in another way. While a red carpet isn’t rolled out for Queen Elizabeth everywhere she goes, red carpets were a thing of royalty in the Renaissance — well, they were used as decorative elements in Renaissance paintings, that is. According to British newspaper “The Independent,” red carpets are a common motif in Renaissance paintings. Specifically, only high-ranking people are place on the red carpets depicted in Renaissance paintings. Kings, queens, and other royalty alike stand on red carpets, or sit on a throne placed on a red carpet. But during the Renaissance, it wasn’t only humans who were depicted walking on red; deities, saints, and angels were the subjects of religious paintings, often portrayed in front of a red backdrop. However, “The Independent” does note these red carpets weren’t always a solid color; they were sometimes patterned carpets that were predominantly red. Even though the red carpet may have had an adverse beginning, without its “lengthy” history, it wouldn't be the mark of a star-studded gala without the renowned carpet. There’s more to what makes the red carpet the red carpet! Tune into next month’s blog post to dig a little deeper into the history of this famous flooring.